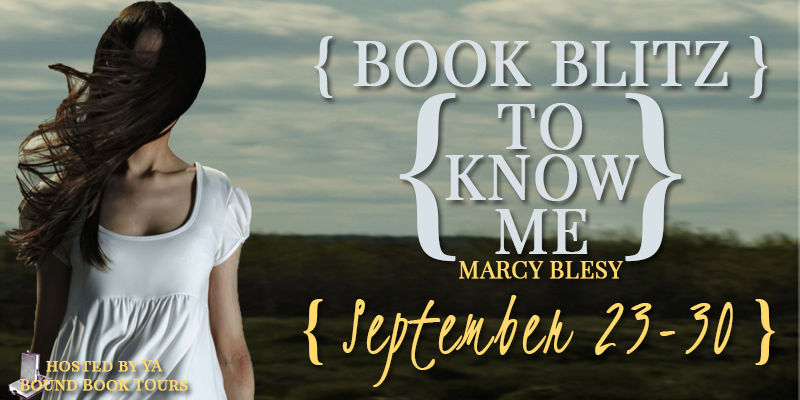 Book Blitz: "To Know Me" by Marcy Blesy + GIVEAWAY! Desperate to earn her diploma and salvage something of her life, she transfers schools when people get too close. 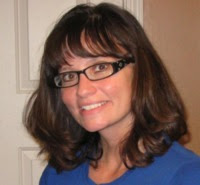 After switching to Woodson Prep with only two months to go until graduation, Mae keeps her goals in sight. 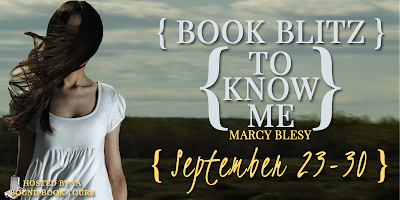 But when she meets Ty, the "perfect boy" with his own secrets and a relentless interest in Mae, she must decide if she can stop running from the past and still protect those she loves.